Massachusetts and Rhode Island have both announced plans on how they intend to spend funds coming from the national Volkswagen “dieselgate” settlement. We’re seeing some solid ideas on how the states can use the VW settlement money to reduce air pollution from diesel fuel. This development is akin to turning swords into plowshares. While it’s horrible that VW deceived governments throughout the world about emissions from its diesel engines, there will be two lasting benefits from the settlement. Firstly, car-makers appear to be reducing their commitment to new diesels, as VW’s experience highlights the impossibility of making low-emission diesel vehicles. Secondly, the VW settlement money will help greatly to accelerate the transition to electric vehicles. As you will see below, much of the VW settlement money going to Massachusetts and Rhode Island will be spent on electrifying bus fleets and building out charging infrastructure. 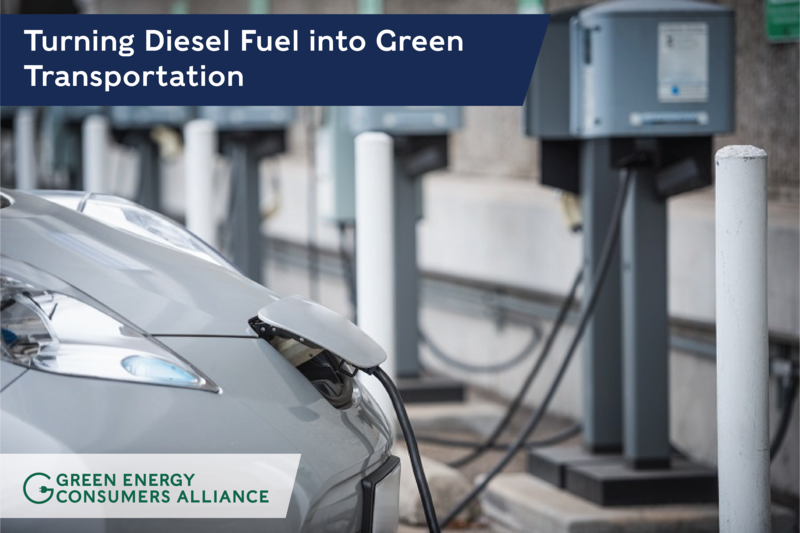 In Massachusetts in particular, there are grant opportunities to help you get access to more public charging, charging at your workplace, or charging at your multi-unit dwelling. In 2016, the U.S. Department of Justice, acting on behalf of the U.S. Environmental Protection Agency, the State of California, and a multi-state coalition of states – led by Massachusetts and others – sued VW for unlawfully installing defeat devices in its diesel vehicles (software that allowed certain model-year VWs, Audis, and Porsches to cheat emission testing and emit more nitrogen oxide (NOx) pollution than legally allowed by federal and state regulations). As a result of the settlement of the federal case, every state in the country was eligible to receive a share of a $2.925 billion environmental mitigation trust, based on the number of VW diesel vehicles registered in the state and equipped with the defeat device software. 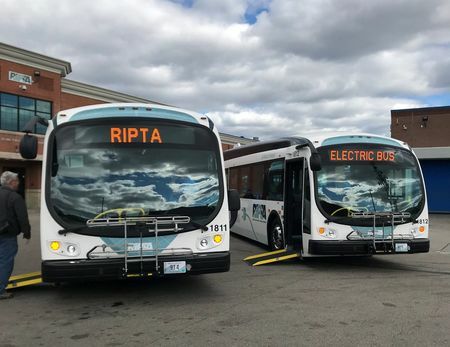 Rhode Island is committing most of its $14.4 million towards purchasing electric buses for the Rhode Island Public Transit Authority (RIPTA). The attorney general’s office will allocate $4.1 million to other environmentally beneficial projects. 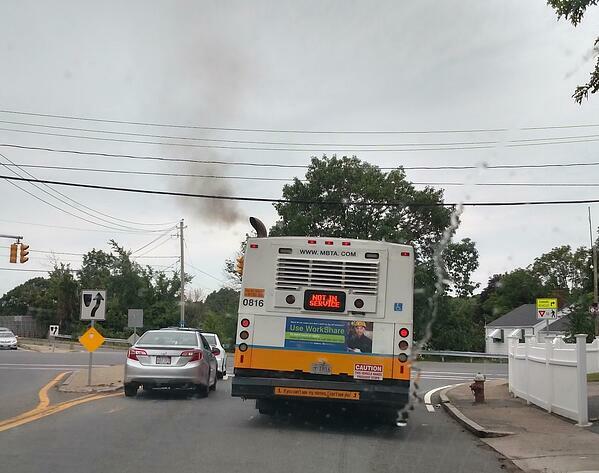 $7.5 million to be made available for proposals that will be submitted in response to a VW Open Solicitation by MassDEP this year for eligible projects specified under the settlement agreement that reduce emissions from certain types of diesel vehicles, non-road equipment, and marine vessels. Details about the Massachusetts funding are available through the following links. Please note that there is a deadline of March 18 for applications to two of the programs. Applications for the other three programs will be taken on a rolling basis. VW Open Solicitation Program, a competitive grant with an application deadline of March 18, 2019: Applicants may apply for up to $500,000 in competitive funding to replace either an older medium-duty or heavy-duty diesel vehicle or piece of non-road equipment with an equivalent new diesel, alternate fuel or electric version, or replace the engine of a diesel vehicle or non-road piece of equipment. MassEVIP Public Access Charging Program, a competitive grant with an application deadline of March 18, 2019: Will provide 80 percent of the cost of the hardware and installation of a Level 2 (240 volt) EV charging station at locations that are accessible to the general public a minimum of 12 hours per day (up to $6,250 per port). MassEVIP Workplace Charging Program, an open enrollment grant that will provide 60 percent of the cost of the hardware of a Level 1 (120 volt) or Level 2 EV charging station to eligible employers with 15 or more employees in a non-residential place of business. 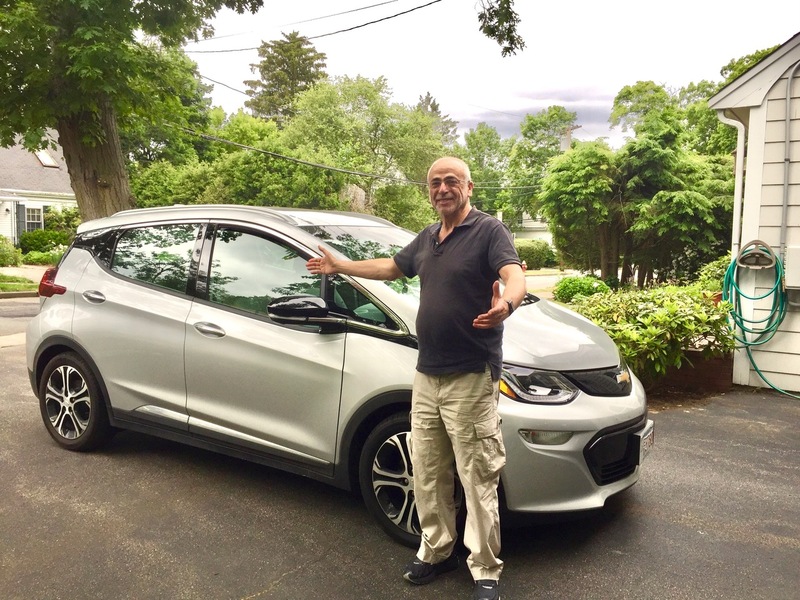 MassEVIP Multi-Unit Dwelling Charging Program, an open enrollment grant that will provide 60 percent of the cost of the hardware of a Level 1 or Level 2 EV charging station to eligible property owners with 10 or more residential units at the location. 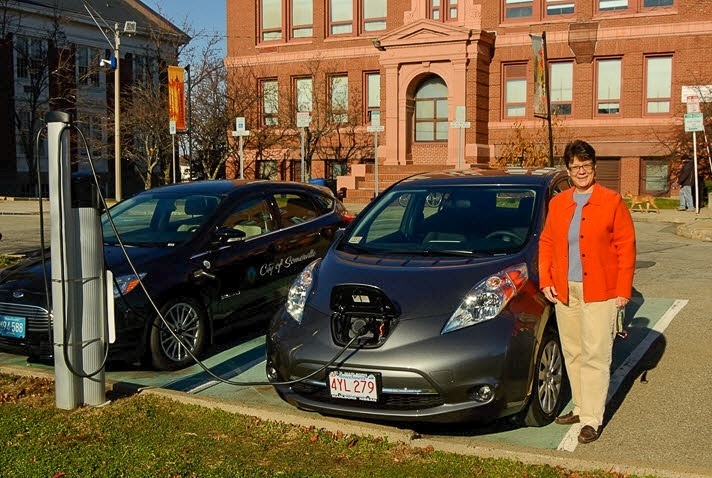 MassEVIP Fleets Program, an open enrollment grant that will provide public entities $750 to $7,500 per electric vehicle, depending on the type of vehicle, and up to $7,500 for associated charging infrastructure. As we say here, there are more public charging stations available today than people think. However, thanks to Volkswagen and some new utility programs (National Grid here and Eversource here), we are going to see a lot more charging stations built in the next couple of years. Getting around in an EV is easy today and will get much easier. So – what’s in your driveway?